When it comes to choosing the best pay per click advertising program that will generate you the most amount of revenue, it can be seen that there are two main options: Adsense from Google and Media.net from the Yahoo Bing advertising network. For this reason, here is a breakdown analysis looking into both the PPC programs at the things that matter most: the adverts themselves, ease of use and the statistics. For Google Adsense, they have the best range of adverts to choose from. This is because not only do they offer all of the popular advertising sizes as well as custom sizes, they also offer responsive adverts which will automatically adapt its size to the size of the space it can fit (which mostly changes due to the type of device viewing the website). 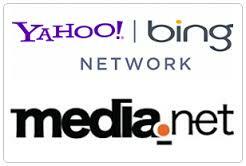 For Media.net, they match Adsense in the range of advertising sizes they offer to publishers of the program. However, as of November 2016, they still do not have any responsive adverts which can dynamically switch between different dimensions based on the space allocated to the advert. For this reason, Adsense wins this round. Google has recently updated the user interface for Adsense making it more of a pleasure to use, with the navigation menu on the left hand side rather than at the top. For Media.net, the level of detail that is viewable to the user (such as statistics and more of the account) is reduced as compared to Adsense, where the main statistic on show is the RPM and estimated earnings. For this reason, this is a victory to Adsense. By the statistics, I am referring to what PPC program will give you the best stats: CPC, CTR, RPM, earnings and more. The problem with this is it very much depends on a lot of factors that will range from website to website. However, from using both platforms, I found I achieved a RPM for one of my websites with Media.net of $1.20 whereas with Adsense I achieved $1.32 – a little different which, if you have a lot of traffic, will be noticeable to your earnings. Ultimately, I think it is quite a close match, even though Adsense beats Media.net in the three areas I chose as important. But, my decision to stick with Adsense was not about the money but about the user experience. I felt Adsense adverts provided a better user experience for those on my website than the Media.net adverts. Therefore, I went with Adsense. However, if you feel that the Media.net adverts and their layouts will be better for your website than Adsense, do not be scared to use them as you should find you should make near enough the same with Media.net as you would with Adsense. What more, you will get a dedicated expert to help you optimise your Media.net account – this is something Adsense does not offer.